Facebook, Instagram, Twitter, Pinterest, LinkedIn, SnapChat, Tumblr, Google+, 500pixels, Flickr… so many choices, so little time…. where should you post your photos? Do you need to be on all of those websites? Which ones will help you find new customers? How often do you need to post? What days and what times are the best times to position social media? How are you going to find an extra eight hours a week to get all of this done? It's not as tough as you think, but you may want to pour yourself a stiff one before we start. Stay tuned until the end and I'll give you my formula for preparing images so they look their best on all the different social media websites. 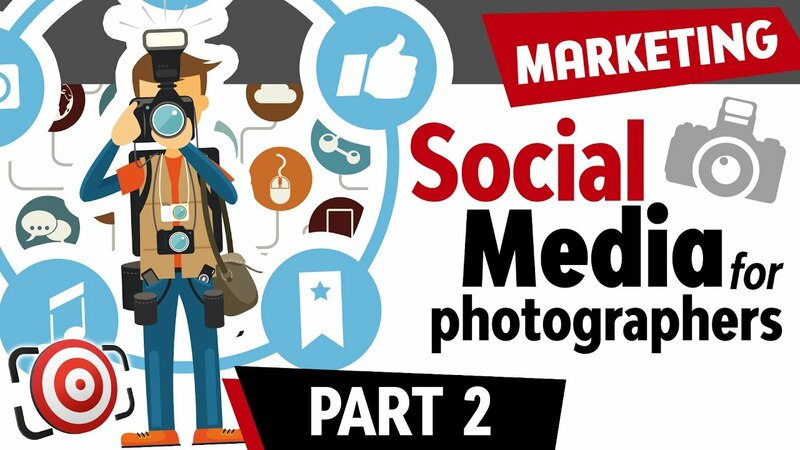 This video is Part 2 of Social Media Marketing for Photographers and it is all about which social media platforms you should use and how to best optimize your images for each of the different social media websites. Remember that when it comes to business and marketing, ROI - Return on Investment must be continually evaluated to be sure that the way you spend your time and money is paying off - otherwise it's not business - it is simply foolish fun. Don't make the mistake of thinking that your time doesn't cost you anything - just because you are not actively spending money. Your time is your most valuable resource. So if you are using social media for fun and to connect with like minded people…. I would encourage you to use Facebook and then whichever sites you find people with similar interests on. In other words - in this case, there are no rules other than to use proper social media etiquette. If you are using social media to build a business, you need to be where your customers are. I would recommend the following to start. Facebook is the must have for all photographers, but wedding photographers will put extra emphasis on Pinterest. Baby and Family portrait photographers also need to focus on Pinterest in addition to Facebook and Instagram, If you are a High School Senior Portrait photographer, Facebook and Instagram are your primary platforms, but I would encourage you to stay active on twitter, because your high school juniors and seniors will want to share your work with their friends. Portrait, Product, Real estate and Architectural photographers should also maintain a LinkedIn presence in order to build your corporate and business headshot clientele. Remember, these are my recommendations, to get your started - don't follow them blindly - use them as a guide and as your following grows and as you build your business it is important to routinely re-evaluate your social media efforts. Plans starting as low as $3.95 per month. SUBSCRIBE so that you don't miss NEW VIDEOS! FTC Disclosure: This video is sponsored by the domain extension .Space. Jpegmini has also provided free software in exchange for my discussion and Format.com has provided free services in exchange for a mention in the description. Links to Siteground.com are affiliate links that support this channel.